USB Charging Outlets - T.Webber Plumbing, Heating, Air & Electric. Never rummage in your bag for your phone or tablet charger again! Install a USB charging outlet in your Hudson Valley home for maximum efficiency and convenience. Are there ever enough outlets? Are you tired of searching high and low for your power adaptor every time you need to charge your phone or tablet? If you’re like most homeowners and have multiple gadgets (phone, tablet, e-reader) – consider upgrading your standard electric outlet to a USB outlet. Installing a USB outlet will help you declutter and streamline your life. You will eliminate the need for any power adapters and always have a space to charge your favorite devices. Our expert electricians can install USB outlets throughout your home – or help you incorporate a docking or charging station in your kitchen or home office area. While USB outlets are commonly installed in kitchens, bedrooms, media rooms and home offices, we can upgrade your existing outlets or install new outlets wherever it makes sense to you! 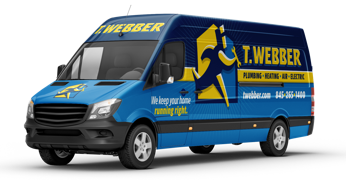 Call T.Webber Services today to see how our licensed and experienced Electricians can help make your life more convenient and comfortable. Our Electrical Technicians respond quickly and decisively, offering same day service in Dutchess, Putnam, Westchester, Orange & Ulster County. Not only that, but our trucks are rolling warehouses …so we can usually fix the problem in a single visit.